You are here: Home | Exhibitor search | TectoDeck MD5 - a new space-efficient multideck that brings together high performance with energy efficiency and delivers improved merchandising. TectoDeck MD5 - a new space-efficient multideck that brings together high performance with energy efficiency and delivers improved merchandising. other customer benefits. These include integral door design and a new lighting solution for optimal product visibility. Focus has been placed on making the cabinet easy to install, clean and service putting total efficiency at the centre of our design philosophy. TectoDeck MD5 is designed based on the opinion of our customers and Viessmann’s requirements for top-class quality and performance. TectoDeck MD5 has a space-efficient bottom evaporator design delivering up to 23% more product volume for the same floor space compared to back wall evaporator cabinets. 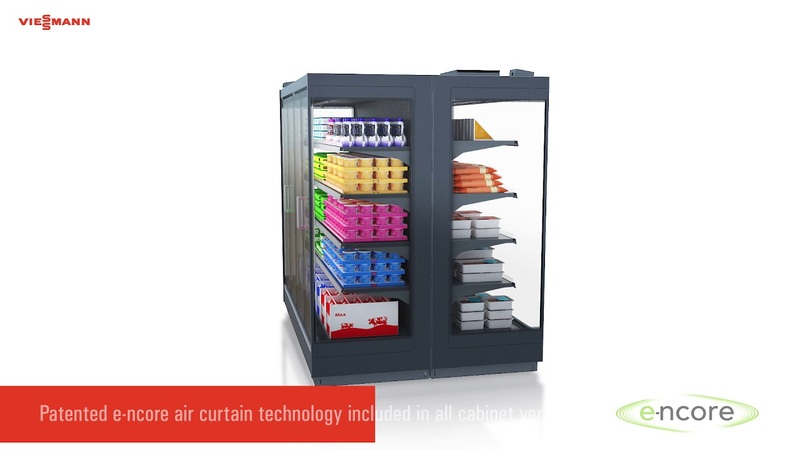 Product volume is not compromised by space efficiency and the different-sized alternatives make this the optimum cabinet for small store formats, as well as larger stores in need of maximum product volume.